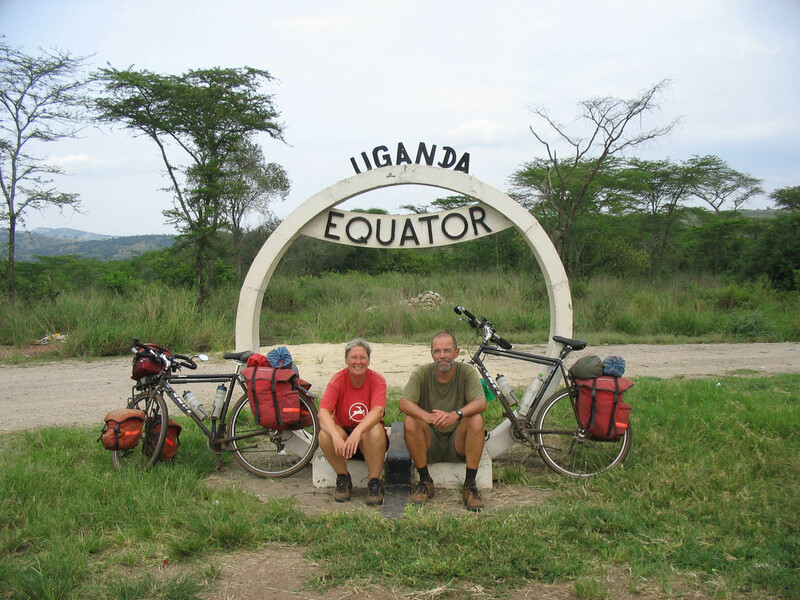 In september 2007 we spent our holdays cycling in the western part of Uganda. From Entebbe we cycled to Fort Portal. We spotted chimpanzees in Kibale Forest, crossed the Equator and cycled into Queen Elizabeth NP on the only road where cycling is allowed. After crossing the Rift Valley we cycled into Lake Mburo NP. We didn’t appreciate the unexpected meeting with curious buffalos , so we arranged a lift with the rangers to the exit of the park. As we had some days left we booked a tour to visit Murchison Falls NP in the North by car. Continue to read about our route, practical information and see the photos. There is a separate page on cycling in Uganda’s national parks.